Sulu and McCoy got their flashy character posters yesterday so this one was probably inevitable. 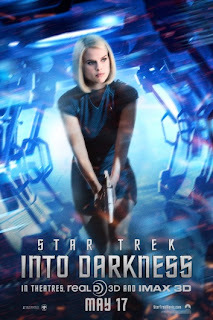 Here's Carol looking as though she might be hunting through the corridors of a certain gigantic starship for a rogue Starfleet agent. I think that means we have posters for all the main cast now so there's bound to be another phase of the campaign starting this week. 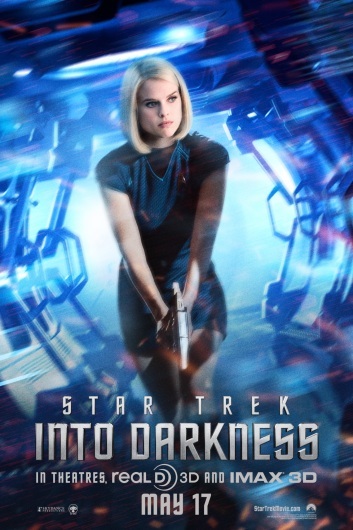 JJ is going for strong female characters in this movie with both Marcus and Uhura striking fearsome action poses in the marketing material. 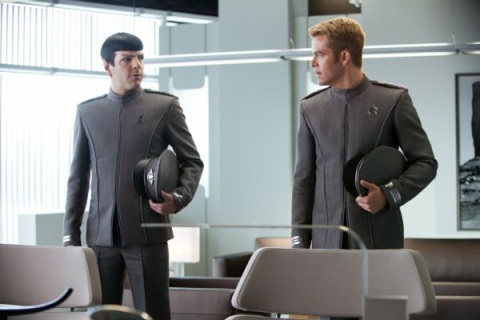 We also gained a nice new piccie of Kirk and Spock in their dress uniforms (above) most likely after their initial observation mission which goes a little wrong on the Nibiru planet. These uniforms are certainly a lot better than the formal uniforms created for the Prime Universe! Also some sad news that's not too much of a surprise this weekend from the mouth of one Brian Fuller - his Star Trek TV series won't be forthcoming soon. 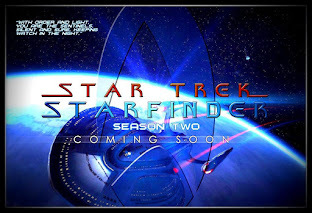 Will we get a new series this side of 2020? I would like to say yes however the harsh reality is that we're probably more likely to see a third and fourth movies from the Abrams stable before that happens. 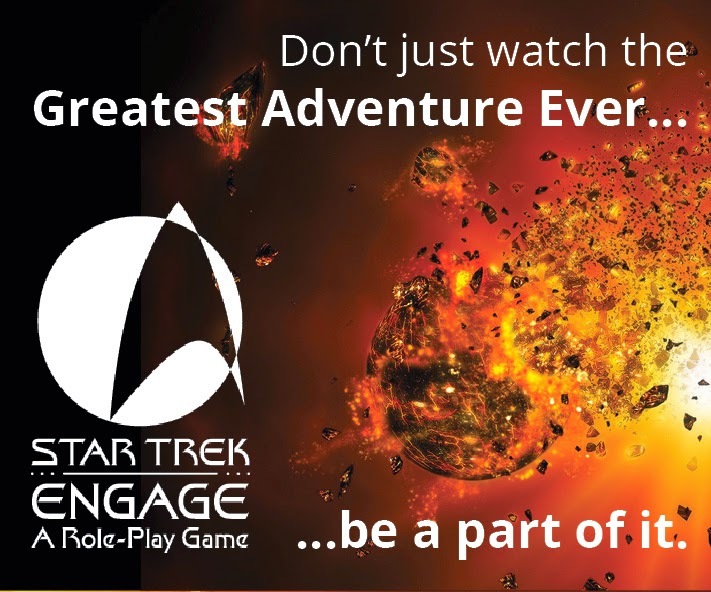 As always this will be updated with info during the weekend - subscribe and you'll just get it sent to your inbox! 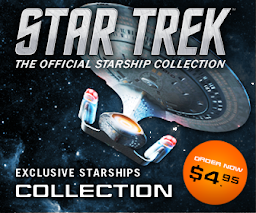 You can also click on the Countdown to Star Trek Into Darkness label below to catch up on all this week's updates. 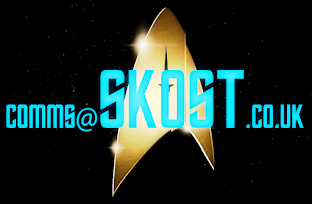 Star Trek Into Darkness: Where's Scotty?! 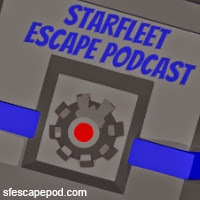 The Starfleet Escape Podcast: Listen Up! 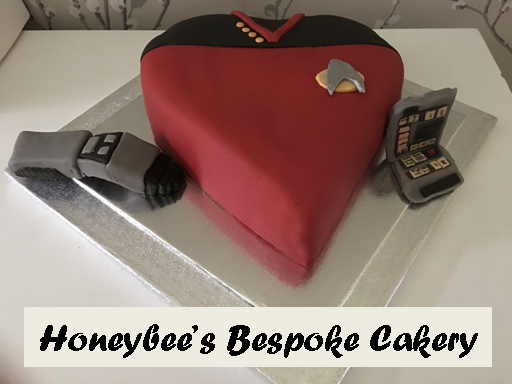 What Did First Contact Do For Us (in the future)?